The Marimo literally means “ball seaweed” in Japanese. It is more commonly referred to as a Moss Ball in English. It is a unique form of green algae that can be found in only a few places around the world. Although they were initially discovered in Austria in the early 1800s, today they are usually found in Japan, Iceland, and other countries with similar northern climates. What may seem like a simple ball of algae is actually a highly regarded treasure that many people believe can mend relationships. These little balls are an algal growth of densely packed filaments that form as a result of water currents which cause the marimo to tumble on lake beds. 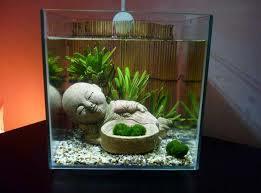 Since the initial discovery of the Marimo, it has become a popular “pet” for aquarium owners. They typically form as spherical structures at the bottom of lakes, although they can appear on rocks and even exist as free-floating algae filaments. 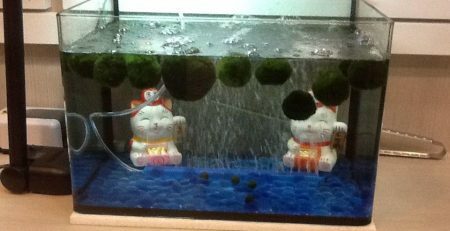 Because of the spherical Marimo’s popularity and uniqueness, they are considered a National Treasure in Japan. 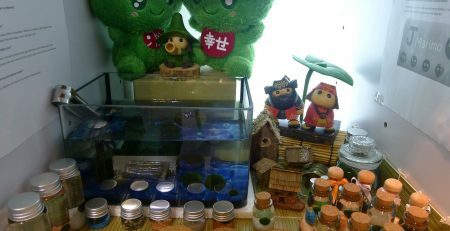 In fact, there are several special efforts in the country to conserve the remaining Marimo population, as it has been slowly declining for several decades. 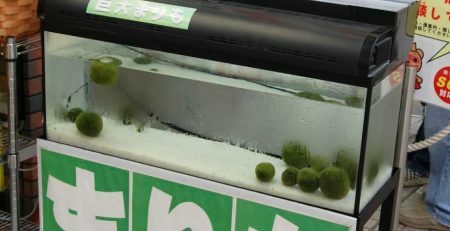 In order to preserve the natural Marimo, artificial ones are grown and sold. 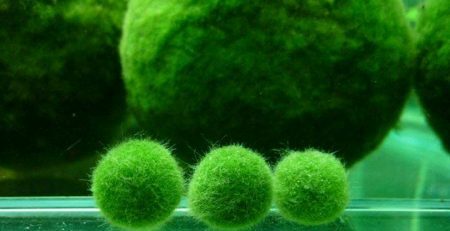 Although a ball of algae may not seem like an exciting pet, there are actually several reasons why the Marimo is so popular. They require almost no care or attention to grow, and they can exist without sunlight in any type of aquarium. 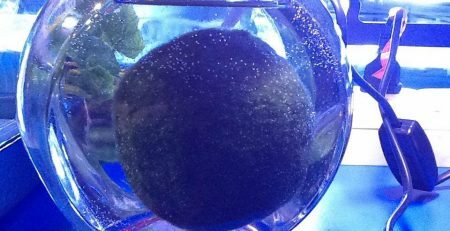 The Marimo is also very interesting to watch, as it floats up and down depending on changes in the environment and the amount of light it receives. This movement actually causes many people to mistake the Marimo for a type of aquatic animal. Most importantly, the Marimo represents love, at least according to Japanese folklore. 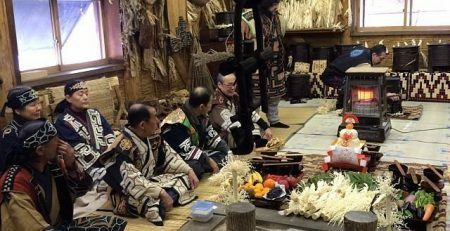 In the country, a legend surrounds the Marimo and its connection to a tribal chief’s daughter. 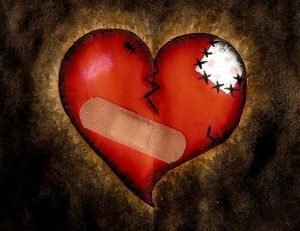 According to the story, the girl ran away with her lover when her father didn’t approve of their relationship. Their love was so strong that many people believe their spirit gave birth to the Marimo and still exists within it today. Because of this story, the Marimo is known as the “love plant,” as it is said that the algae can recognize true love. In fact, many people choose to give a Marimo to the person they hope to spend the rest of their lives with. Artificial Marimos can exist in water that is kept at room temperature. As long as the water is changed on a weekly basis the Marimo will live and grow. 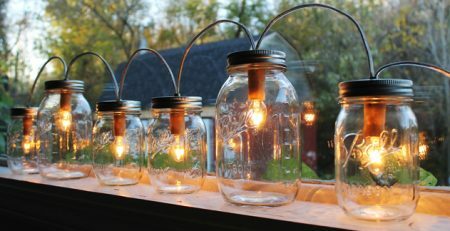 This form of algae does not require natural sunlight, and it can complete the photosynthesis process using any type of light it has access to. 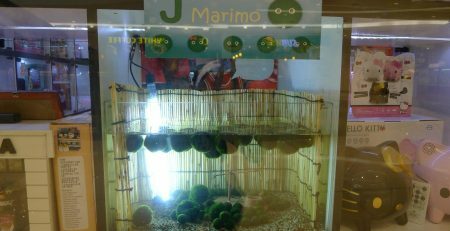 With the correct environment a Marimo can live up to 100 years. Scientists in Japan reverse-engineered the process that is used to form Marimo algae, and these artificial versions are sold in stores around the world. Natural Marimos are found in lakes, most commonly in Japan. Although natural Marimos are not available to the public, artificial ones are widely available.